Here are a few sample contours models from some kind Community users. This will help you to get familiar with TopoShaper::IsoContours. TopoShaper::PointsCloud takes a group of Guide Points. If it encloses faces, they will form the Clipping Contours. Otherwise, the default Clipping contours are taken as the convex hull of the points. The Terrain is generated as an adaptive triangular mesh, where triangles are more dense where the altitude changes. The algorithm is iterative, by refinement of the triangulation until the Terrain is 'smooth' enough (specified by a smoothing angle). Points are part of the mesh (i.e. the terrain passes through the original points). IMPORTANT: Make sure that you have first installed LibFredo6 v8.7 or above. TopoShaper is released as a regular RBZ extension file on the Sketchucation Site. Download If your are already logged in. Log in to get it! otherwise, in order to log in or to register to Sketchucation as a new user (this is FREE). Then you will be able to download the RBZ file. 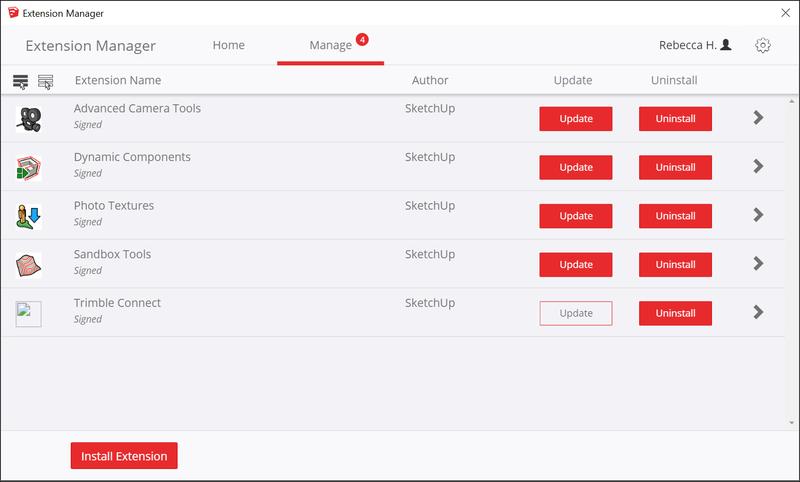 If you are not familiar with the installation of Sketchup extensions and Sketchucation, it is advised to watch the video LibFredo6 installation. IMPORTANT: Whatever way you choose, you MUST quit and restart Sketchup to get TopoShaper (and LibFredo6) properly loaded. - the inclusion of the present copyright notice in all copies. Alternatively, you can interactively select contours one by one like for Curviloft and Curvizard. The most appropriate working view is the 2D Contour map where all functions are available. You can select / unselect one or several contours by clicking on them. Click anywhere but on a contour to unselect all contours. When you have some contour(s) selected, a small button palette appears near the mouse cursor. This allows to include / exclude contours, as well as to simplify / restore contours. Simplified contours are shown in green. The tooltip shows the number of edges after simplification and the original number. Use the 2 dedicated buttons to refuse or accept simplification Exclusion of selected contours is managed by clicking on the red-cross button. Automatic Junctions are shown in Red. If you click on a junction, you can ignore it. Manual Junctions can be created by joining two contour extremities, via a standard click-drag-release operation. Only of extremities of similar altitude can be connected. You change its resolution (number of cells or dimension of cells), via a dedicated dialog box. You can also enter the X, Y resolutions or dimension in the VCB. Some information is preserved as attributes of the Terrain Group so that you can edit them later on. Just select a Terrain and launch TopoShaper, or start TopoShaper with NO selection and mouse over a terrain group (it will be highlighted in red) and click. You will go directly to the Calculation / Preview step. From there you can change the grid resolution and then include / exclude skirt and contours. If you wish to exercise TopoShaper on some models, I regrouped in this post a few iso-contours models (published on Sketchucation) coming from kind contributors and with their implicit permission. Here is the documentation, in English. TopoShaper 2.1a – 25 Mar 15: bug fixing and introduction of an API for calculating terrain from isocontours. TopoShaper 2.0a – 30 Dec 14: major release introducing the functionality of Generation of Terrain from a Cloud of Points, as a Triangular Mesh. DonateLog in to Get It!